I have no words this morning. 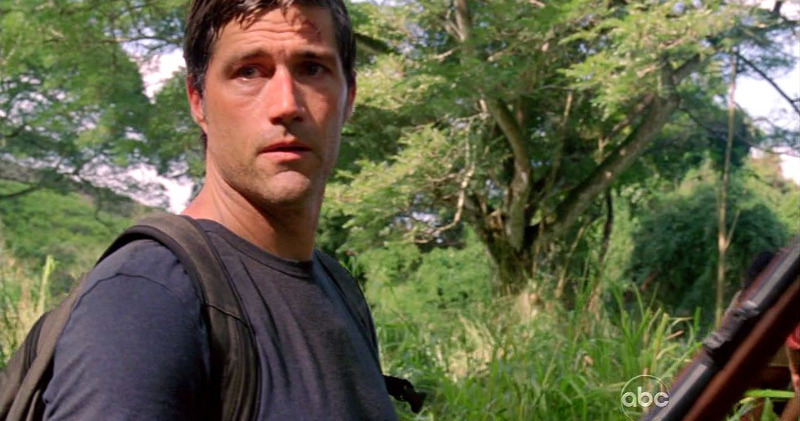 The LOST finale aired last night, and my brain is still trying to process it all. Today is supposed to be a Musical Interlude Monday, not a LOST post, but I just can't help myself. I'm feeling nostalgic, confused, and thoroughly entertained by this show. 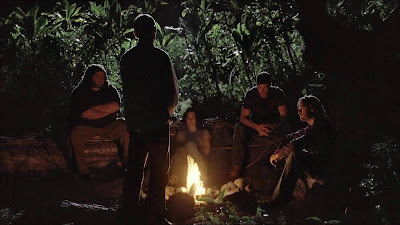 So for today's music, I've posted a link to the song "Wash Away (Reprise)" by Joe Purdy, as it was used in Season 1, Episode 3: "Tabula Rasa" on LOST. It's one of those classic, end-of-show montages, set to the music Hurley is listening to on his headphones. Just to warn you, if you're a LOST fan, this song and video are going to make you cry. Watch it with some kleenex in hand. The embedding feature on this video is disabled, so just click on the picture below and it will take you to the video on YouTube. no, no more crying here. This old river's gonna take them away. Don't say you weren't warned! Now that we've gotten that out of the way, let's talk LOST! This week's episode was titled "What They Died For" but it could have just as easily been titled "What They Watched For". Jacob said, "Sit down and I will tell you everything," and all of us Losties at home were screaming "We ARE sitting down! Tell us! Tell us!" And surprisingly, he did. We found out Kate's name was crossed off the list because she had become a mother, and there was now purpose and healing in her broken life, so she was no longer a candidate. We also found out that Jacob chose the candidates, and brought them there, not to be cruel, but because they were alone, looking for something they couldn't find (Love, perhaps? Belonging? Family?). He gave them a chance to rise above their broken lives. Like Jack said to Kate (Season 1, Tabla Rasa) "It doesn't matter, Kate, who we were - what we did before this, before the crash. It doesn't really. Three days ago we all died. We should all be able to start over." I would like to think that the writers have done that, given a fresh start and a redemptive type story to almost all of the characters, even if their character arc ended in death. But before I get into some of the deeper thoughts I have about this episode, and the nice parallels and closure that was woven into the story, let's talk about my favorite moments from the evening. Ben: "He doesn't get to save his daughter." I knew there would probably be a high body count towards the end of this show, but Ben shooting Widmore still surprised me. I thought Ben's motivation was believable, especially after just being near Alex's grave earlier, so her death was on his mind. I don't think Ben has gone back to being eeevil, I think he's conning Smokey, in one last great deception. (Oh, Henry Gale, how we've missed you and your evil conniving.) Only this time, I think, Ben will be conniving in the cause for "good". As much as one can talk about "good" and "bad" on this show. Ben has repeatedly said, "I always have a plan," and I think he has one here too. Danielle Rousseau: "You are the closest thing to a father Alex has ever had." Sawyer: "The bomb on the sub. . .you said he couldn’t kill us." Jack: "I’ve been wrong before." Sawyer: "I killed them, didn’t I?" Jack: "No. He killed them." Jack (to Jacob): "I’ll do it. . . This is why I’m here. This is . . . this is what I’m supposed to do." Who am I kidding? If I would have allowed myself, I could have wept all the way through this episode. We are so close to the end... But these three moments stood out for me, and here's why. I always enjoyed Rousseau's character. She was crazy, yet helpful. She was paranoid yet resourceful and talented. I loved it that she was finally reunited with Alex, but then I felt completely cheated that they killed her off unceremoniously without giving her one final "moment" or even letting her go down in a blaze of glory as she fought off a horde of Others, allowing Alex to safely make her escape. Nope. Shot in the back. (See my disappointment in Widmore's death above.) These are small disappointments, in an overall amazing story, but they still kind of stick in my craw. This particular one was rectified a little bit, by seeing a happy, normal Danielle last night with her daughter. It did give her storyline some kind of closure (although I suspect it is a fake closure, as I'm still not sure that the alternate time line will end up being "real"). I loved her scenes with Ben and Alex. I love it that in this reality, all of Ben's "good" qualities are at the forefront, instead of his manipulative evil ones. I have to admit, the whole thing made me a little misty-eyed. My heart also broke for poor Sawyer, who is now carrying around the doubt/guilt that he was responsible for killing everyone on the submarine. That was some great acting by Josh Holloway. You could just see it in his eyes, the doubt and the pain that he might have been responsible. And how interesting that, a few years ago, the Jack we knew would have jumped at the opportunity to blame Sawyer and rub his nose in his mistake and "make him pay" for it. This Jack showed him grace, and assured him that it was Smokey's fault for putting them in that position to begin with. What an interesting change in dynamics between the two of them. When Jack stepped forward to take on the responsibility of protecting the island, my heart caught in my throat. Whether you like Jack's character or not (which I've never been a big fan, but have liked him more than most of the bloggers online), there's something about watching a man step up and sacrifice his desires, and his life, to protect others and do the right thing. It reminded me of a soldier volunteering to go on a suicide mission during a war, knowing that it needs to be done, and knowing full well they won't be coming back alive. Jack is sacrificing his life, not in the sense of dying, but in the sense that he will never be able to leave, and is giving up a "normal" life in the "real" world. His quiet resolution to his decision, and his simple acceptance of the situation set before him, was touching to me in a way that I can't quite explain yet. Miles: "Do you know where you're going?" Ben: "I lived here for a long time, I think I know my way around." Miles: "Well, I lived here 30 years ago, which was last week, and I still don't know where we are." The show is whizzing by at a breakneck pace, and I feel like I'm missing a lot of the nuances that the writers have been working into the story, especially towards the end here. And I'm not just talking about the mirrors. Everything is becoming very circular and we're ending up right where we began. In the first episode, Kate stitched up Jack on the beach. In this episode, Jack was stitching up Kate's bullet wound on the beach. In season two, Jack and Locke constantly talked about fate vs. coincidence, faith vs. reason, and in this episode, in Jack's office, they had that same conversation again. When Ben and Locke were looking down the well for Desmond, the way they were positioned, the torches, the camera angle, it looked almost exactly like the image of Jack and Locke looking down into the hatch at the end of season one. I know I'm missing others. Feel free to leave me a comment and let me know which ones you picked up on. There is so much artistry to this show, not just from the writers, but from the directors, cinematographers, set designers, and of course actors. I suspect this show will be even richer upon a second viewing, as we will "know" the story, won't have to worry about getting answers, and will be able to sit back and enjoy all the finer nuances. I know I've said it before, but I'll say it again, I've never ever experienced a television show quite like this one, and I don't think we will again any time soon. I'm happy I was able to come along for the ride, but I will be sad on Sunday when it is all over. We have a few precious days to discuss our very last weeknight show... so let's talk and theorize and get it all in before it's too late! Once upon a time, little D. discovered a band called Evanescence. She sat, enraptured in front of the stereo, as she listened to their debut album, and found it was like someone had crawled inside her head and written a soundtrack to what goes on there. This is a very rare occurance. Only two other bands had been able to accomplish this. She was in love with the music. She experienced an unexplainable connection to the sound. If you could have worn out a CD, she would have, from listening to it so much. Then, like any good thing, it had to end. The band became famous. In fact, it became HUGE. And like any new band that experiences a fierce debut success and metoric rise, it came crashing down in flames just as quickly. The lead singer, Amy Lee, carried on with the band name, and several years later put out a second album, but it was never the same. The spark just wasn't there. What a sad, tragic story. Those of us who know our Bible stories, have thought all the long that Jacob and Smokey were probably brothers, and probably twins (based on Jacob's name, and the story of the twins, Jacob and Esau). In this episode, we got confirmation of that. We also got a lot of answers about the island, and the good vs. bad passion play that Jacob and Smokey are locked into. We learned the Unnamed Mother (now taking suggestions for her nickname) was the protector of the island before Jacob, and that between Jacob and Smokey, she somehow knew that Jacob would be the next "candidate" to protect the island. I have some really cool mythology insights to share, but before I do that, here are my favorite moments of the evening. The Adam and Eve skeletons are actually the Man in Black and the Unnamed Mother! There were so many shocking revelations tonight about the donkey wheel, the origin of Jacob and Smokey, the first group of "Others", the magic golden light force of the island. But I think the puzzle of the skeletons was one of those Season 1 questions I never thought would be fully answered. Or, I was just sure the skeletons would be Rose and Bernard, or Desmond and Penny, or Kate and Jack/Sawyer, and the time travel/jumps would explain why they were there from the past, yet could discover their decomposing bodies in the future. Well, we were all way off track, weren't we? It was the Man In Black's original body and the body of their Unnamed Mother. So, if going into the light is a fate "worse than death" as Unnamed Mother said, then does that mean the Man in Black's spirit is now trapped in the Smokey thing? We know from other flashbacks that he continues to appear as the Man in Black. Can he do that because the Man in Black's body is now dead? Just like how he can now take on the appearance of Locke, now that Locke's body is dead? Is the Smokey thing ultimate evil incarnate? Maybe the "Source" (i.e. the golden light) was what was keeping the evil imprisoned in the center of the island. Did giving the evil a sacrifice (Man in Black's body) somehow release it onto the island? The light seemed to die out and it looked like the water was turning dark - does that mean the light's powers, or the island's powers are now corrupted or lessened in some way? Is this the same water that they lowered Sayid into at the temple? Is this why Ben had to fiddle with a pool of water in order to "call" the Smoke monster, since Smokey is somehow connected to this previously-golden, now murky water? My answers to all those questions is - Yes - in my humble opinion. I'm not sure the LOST writers will take the time to answer all these minute details, but I'm okay with that. It seems like we can get our answers from inference and leave it at that. Jacob putting the Man in Black and his Unnamed Mother to rest. Seeing the clips of Jack, Kate and Locke discovering the skeletons and the pouch with the black and white rocks in 2004. Poor Jacob and the Man in Black and the Unnamed Mother... they had a dysfunctional family, didnt' they? I guess it's hard to grow up in a family tasked with eternally protecting the "Source" - light and goodness, the soul of the island. I was sad for Jacob, in this scene where he laid his brother and his Not-Mom to rest in the alcove of the cave. He really seemed to regret his moment of anger and revenge in killing his brother. And even though he knew his Not-Mom was unstable, he stayed with her, and was sad at her passing. It also seemed, from Mark Pellegrino's excellent acting performance, that Jacob was genuinely confused and distressed about these turn of events and his place in this world, and that made me really sorry for him. Both Jacob and his Not-Mom did things that were "bad" in the service of doing "good" (i.e. protecting the light) and I'm not really sure how I feel about that. I'm almost craving some characters that represent pure good and pure evil but the writers continue to blur those lines. Fine for them to do that with the "mortals" who sin and make mistakes but I was at least hoping the "immortals" such as Jacob and Smokey would be definitively good or bad. I must admit, I am kind of sad that Jacob is just another mortal man, who has been tasked with a supernatural duty which allows him certain benefits, like immortality. It takes some of the mystique of him away. I would have rather he'd been an angel or a god of some kind. On the other hand, I liked this episode, and this scene specifically, because it made me feel something for Jacob and empathize with him. It gave his character more depth, instead of him being just a one-dimensional mysterious playing piece in this story. There wasn't one. But several of us in our viewing party simultaneously thought the ratted tangle of yarn hanging from a stick in the cave was the back of Crazy Claire's head. Speaking of Claire, this is the third time a baby was taken from its mother and raised by another (Alex, Aaron and now the twins). I wonder if there's any deeper meaning to that reoccurring theme? Another pattern seems to be emerging - it looks like the protectors of the island are immortal and cannot kill themselves but have to be killed by someone else - and it appears - this can only happen after they have passed the protection mantle on to someone else. I also wanted to share some Roman mythology with you. In last night's show, the twins' birth mom was named Claudia. I don't think this was by accident. In Roman mythology Claudia was a Vestal Virgin, who conceived the twins Romulus and Remus, the fathers of Rome. Vestal Virgins guarded the sacred fire of Vesta (similarities with Not-Mom guarding the golden light/water?). They originally numbered two, but were later increased to four and eventually six (recognize some of those numbers). They were selected by lot and served for thirty years (did you notice last night the mention of thirty years?) tending the fire and performing rituals. By analogy, they also tended the life and soul of the city through this sacred fire. The Goddess Vesta was the virgin goddess of the hearth, home and family. What interesting theories have you heard? Leave me a comment and let me know what you think. We only have one show left, then the two and half hour finale! We just saw Daughtry in concert recently and they rocked the house. It was a great concert and Chris Daughtry's voice is even better live than on the radio. It was a high energy show full of good straightforward rock and roll. There was an added bonus, in that they had two excellent opening acts: Lifehouse and Cavo. I love it when I go to a concert and discover new music in the process. It's a double-bonus. So instead of linking to a Daughtry song, I thought I'd link to my newly-discovered band - Cavo. Enjoy. Originally, this post was going to be very short. I was going to have pictures of Jin, Sun and Sayid, and the text was going to read: "Noooooo!!! No! No! No!" I still don't feel very talkative. I'm kind of bummed, kind of disappointed. I am again amazed at how much emotion this show enlists from me. I have never ever watched a show like this before in my life, and I suspect there will never be another one like it. Sayid's death made sense to me. It really was the only way his character could get some redemption. The writers had kind of painted him into a corner. His character had arrived at a very dire and hopeless place, so at least they gave him an honorable and heroic exit. I did find some satisfaction in seeing the eeeevil Sayid disappear for a moment, and the good Sayid take over and save the others. So long Sayid. It was nice knowing you. Your instincts never led you astray, and your talents always came in handy. I hope you were reunited with Nadia in the afterlife. Sun and Jin's death, on the other hand... seemed a touch unnecessary. I wished in my last post (and in several others) that the writers would give Sun and Jin a happy ending. Was my wish granted? Nope. Wish denied! Although I must admit I had a sinking feeling and was secretly worried that Jin and Sun had "CANNONFODDER" stamped on their foreheads the minute after they were reunited and their story was somewhat resolved. Dear LOST writers, just because there was no more story to tell when it came to their characters, that didn't mean you had to kill them off! I mean, really, was that necessary?! You're giving me very little hope that anyone is going to have a happy ending on this show and that's starting to worry me. You made Ji-Yeon an orphan, you big meanies! I cried a little bit when they showed Sun and Jin's last moments, and that they were holding hands until the very end, but mostly I was in disbelief. 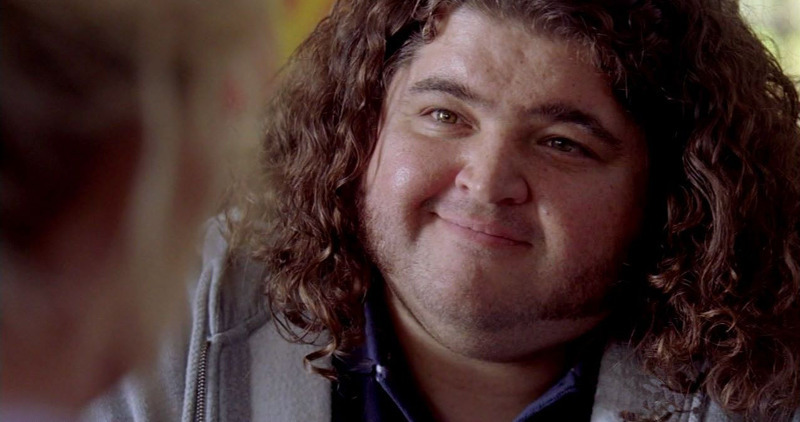 Then they showed Hurley break down into sobs and I lost it too. Ugh. Goodbye Sun and Jin. I enjoyed seeing you overcome the highs and lows and all the challenges to your relationship. I hope you are happy and free now and together, forever. Discussing a "funny moment" from this show seems inappropriate, but there was indeed one. I'll mention it here, simply for the sake of staying consistent with my post format. Jack wakes up in the outrigger canoe. Sayid: "Welcome to Hydra island. At least you didn't have to paddle..."
What do you think about the casualties from tonight's show? Did you think we'd make it to the end without losing any more key players? Do you think they will kill off everyone but Jack? (i.e. the Candidate) Jack may be the candidate (I think we've known that since his epiphany at the lighthouse) but I still think Desmond is the key. He's the wild card to ending it all. I also think Jack is right - Smokey doesn't need them with him in order to get off the island, he needs all the candidates dead, in order to get off the island. What do you think? Leave me a comment and let me know, while I get up to retrieve a fresh box of Kleenex. Sniff. There was a lot of action in this episode. A lot of moving and shaking and boat-taking and side-changing and meet-ups - and that goes for both sides of the timeline. Everyone's worlds were colliding in the alternate universe. Jack and Claire were at a lawyer's office, who just happened to be Ilana. Sawyer has Kate on lock down at the station, then runs out to arrest Sayid for shooting Keemy. Locke is being shipped to the hospital after being run down by Desmond and, sure enough, Jack gets paged to do his spinal surgery. This is what I refer to as a "transitional" show, where it isn't really centered on any one character, but the writers are moving everyone around and getting them in place for the next scene. That doesn't mean there weren't some good moments though. Here are my favorite. Sawyer gives Jack a choice, and Jack jumps off the yacht. Claire just got through telling Jack that the reason she stayed with Locke is because she felt like everyone else had abandoned her. Then she sees them take off into the woods without her. That look she shot them gave me the shivers. She was at DEFCON-10 when she strolled up to the yacht and confronted them with her rifle. Then, of all people to talk her down, Kate steps up. I shook my head, just knowing that this was a bad mix and that either Kate or Claire was going to die in that stand-off. So color me surprised when it all worked out and she climbed on the boat with them. Huh? Then for Sawyer to give Jack an ultimatum and for Jack to continue to be a man of faith and jump off the boat. Huh? When Jack washed up on shore, Locke told him, "It's okay, you're with me now." But is Jack really choosing to be with Team Smokey? Really? Is he the "last recruit" that the episode title refers to? Oh, LOST... you drive me crazy. Sun and Jin are FINALLY reunited after three years apart. I knew we'd finally get to see this. I was looking forward to it. And it was so sweet. I hope Sun and Jin get the happy ending they deserve. They've been through all kinds of terrible things. I want them to go home to their daughter and have the life they've always been striving towards, away from the island, free from the repressive hand of Sun's father. They deserve it. Sawyer: "We're gonna ditch Locke. You, me Jack, Hurley, Sun and that pilot that looks like he's stepped off the set of a Burt Reynolds movie." Kate: "You didn't say Claire." Kate: "I promised I would bring her back." Sawyer: "That was before she started drinkin' Locke's kool-aid." Is Desmond dead in the well? Nah. I don't think Sayid shot him. In fact, when Smokey found him, I think Sayid was looking up into the trees, looking for a vine to throw down to Desmond to help him out. Maybe he's not completely eeevil? I think it was Smokey (or maybe Jacob) that said a "war was coming" and it looks like that might be what we see in the next episode. Widmore is launching missiles at the main island and Smokey looks like he's finally ready to retaliate. 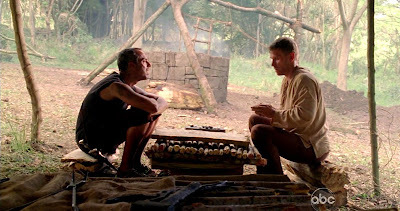 What is Zoe and Widmore going to do with the Losties on their island? How is Smokey going to get past the sonic fence? What is Jack's role in all of this? What is the status of Desmond! I can't believe we have to wait two weeks for the answer! Leave me a comment and let me know what your thoughts and theories are. Hurley blows up the Black Rock. Desmond runs down Locke with his car in the alternate universe. We should have seen it coming. We saw what happened to Arntz. The dynamite blowing up Ilana should not have made me jump out of my seat, but it did. I didn't think we were quite done with her character, but apparently we were. Now here's a thought for you... We keep flashing back to when Jacob comes to her in the hospital, to tell her he needs her help, and Ilana is all wrapped up in bandages like she's been burned. But we've never been told what caused her injuries. I wonder if she's in some weird time loop of her own, where she keeps getting blown up by the dynamite and blown back to that moment in time? It's a stretch, but just something I thought I'd toss out there. Why did Desmond run down Locke in his car? It seems like it's "true love" that is snapping people out of their reality and making them realize that they are in an alternate universe (Charlie remembered Claire, Daniel remembered Charlotte, Desmond remembered Penny) but Locke is already with his "true love" Helen in the alternate universe. So maybe it's his injury or accident that will wake him up or make him remember the island reality? 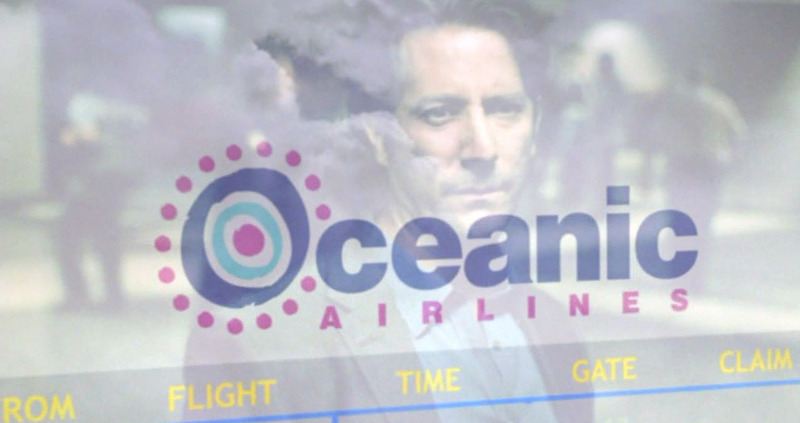 I think we know now why Desmond asked for the flight 815 manifest in the previous episode. It seems that he's going to each Lostie and trying to wake them up. (Why do I feel like I'm talking about The Matrix all of a sudden? Take the red pill!) That would explain why he just so happened to be at the Mr. Clucks and just so happened to go over and talk to Hurley. Hurley and Libby kiss, and in that moment, all of Hurley's memories of Libby come flooding back. This was such a happy, sad, touching moment. I was already getting teary-eyed, seeing them have a picnic on the beach; the picnic or first-date that they were never able to have on the island, because Michael shot Libby when she came to the hatch to get blankets. Sigh... Speaking of which, that was such a powerful, well-acted scene between Hurley and Michael, when ghost-Michael apologized to Hurley for shooting Libby. And Hurley, ever of the forgiving and big heart, accepted the apology and forgave him. If everybody didn't love Hugo already, they should be won over after that scene. Richard: "We get more dynamite. Or else she died for nothing." Jack: "Maybe she died to show us to stay the hell away from dynamite." And now a word about the brief moments we saw of Desmond and Smokey in this episode. Remember how in my previous post I discussed Desmond's "specialness" and how I think he's seen the future? Well, this would explain his cool, aloof, almost knowing demeanor, in the island time line when encountering Smokey. I think from the minute he saw him Desmond knew who Smokey was (even though he played along and said he was Locke) and I also think he knew that Smokey was going to push him in the well, because he said, "What use is there in being afraid?" He already knew it was going to happen; maybe even knew that it needed to happen. And there's no need to be afraid if he already knows how it all ends. We've always known Desmond is special. I'm starting to think he might be the "messiah." Jacob and Smokey are all worried about the endless loop they've been trapped in all these years with candidates and being trapped on the island, and the good vs. evil struggle. However, I think Desmond is special, above and beyond all that, and he might be the answer or the solution to end it all for good, and resolve the never ending game Jacob and Smokey are in. I don't know if that means he'll destroy Smokey or what, but I do think Desmond will figure prominently into the solution of the conundrum known as LOST. What do you think? Leave me a comment and let me know. Before we discuss this particular episode, let's take a look at Desmond's specialness or gifted abilities. 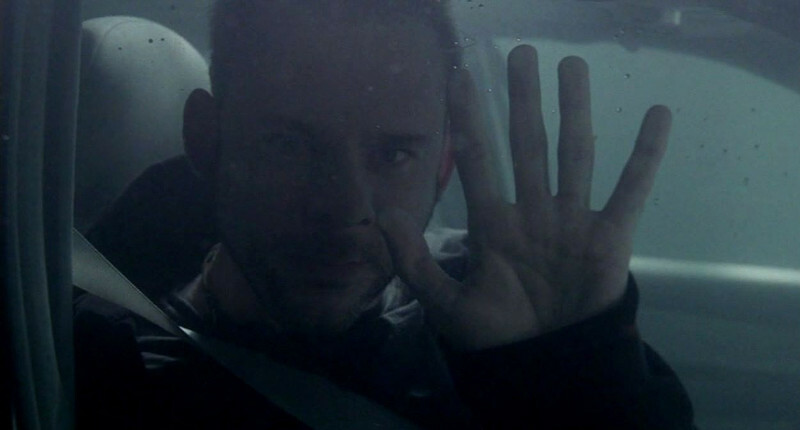 When Desmond blew up the hatch by turning the fail safe key in "Live Together, Die Alone" we learned that he could time travel within his own body/consciousness. When he woke up from that explosion (naked in the jungle) in "Flashes Before Your Eyes" we found out that he could see the future in a limited way. He could see into the immediate future when Charlie was in danger and about to die. He also time traveled within his own body/consciousness in "The Constant" and reconnecting with Penny is what finally grounded his consciousness in one time. Now, in tonight's episode, after getting zapped in Widmore's electromagnetic pulse room, and then being "woken up" by his near death experience forced on him by Charlie and then his vision of Penny, I think Desmond can "see" in between the two alternate/parallel universes or timelines (island reality vs. LA reality) and I also think he's seen ahead into the future and knows how this is all going to play out. That's my prediction. So without further ado, here are my favorite moments from this episode, although it's hard to pick favorites, since Desmond-centric episodes are always 100% amazing. Faraday: "What if this wasn't supposed to be our life? What if we had some other life and for some reason we changed things?... I don't want to set off a nuclear bomb, I think I already did." Thank heavens Faraday showed up with his journal to explain everything. How cool was it that he saw Charlotte at the museum, and it was his true love that "woke him up" to the reality that the world he's living in isn't quite right? He realized that he's supposed to be in another reality, and that this LA reality where he's a musician is false or fake in some way. It's the same thing that happened to Charlie - when he had his near-death experience on the plane, he saw his island life with Claire - his true love. Aww... It turns out that true love is what anchors, not just Desmond and Penny but, every character on this show. I think that's a terrific plot element! Love it! Desmond's underwater flashbacks to Penny and him together in the "island reality"
Desmond: "Would you like to go for a coffee?" Penny: "There's a coffee shop on the corner of Switzer and Melrose. I'll meet you there in an hour." Only five new more episodes left! I was weepy through this whole episode, especially when they played Desmond and Penny's musical thematic line in the music, when Desmond met her at the stadium. Those sad sweet strings. I'm pretty sure it's the same theme that played when Desmond made his phone call on Christmas to Penny. I don't think I've ever discussed the music on LOST, but it probably deserves it's own separate post. The soundtrack is cinema quality - just beautiful and always perfect to the situation. Penny: "I shook your hand and you fainted. I must have quite an affect on you." 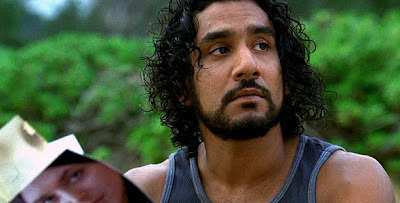 Why do you think Desmond willingly went with Sayid? Did he see more of the future? Why did the alternate reality Desmond want the list of everyone on flight 815? We learned that Faraday was able to pursue his original dream and become a pianist in the alternate reality, which was kind of cool. We also learned that Mrs. Hawking (a.k.a. Widmore) is creepy and evil no matter what reality she's in, and she's always nasty to Desmond whenever it concerns Penny. I still don't understand Eloise's motivation in all of this. That's actually a nagging question I hope they answer. Is she special like Desmond and can time travel at will? I want Daniel Faraday to show up at my house with his little journal and explain everything to me! What were your favorite moments of the night? Leave me a comment and let me know.